10 Ways to Add Super Seeds to Your Diet! 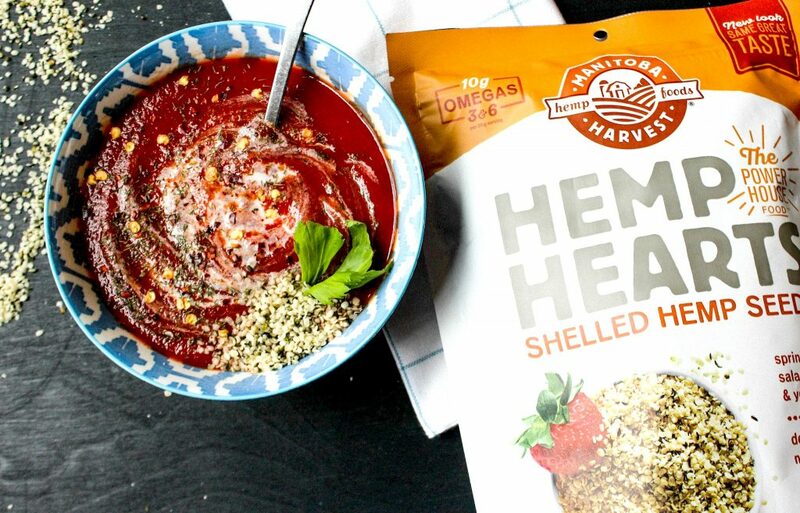 Today’s post is going to leave you hungry and running to the grocery store because I’m partnering up with Manitoba Harvest to show you how to easily incorporate their delicious Hemp Hearts (shelled hemp seeds) into your daily diet. I have put together ten of my favorite ways to eat hemp seeds. I’ve had a lot of people asking about the taste, especially since I’ve been adding them to sweet and savory dishes. So imagine this. If mixed nuts and buttery white sticky rice were to procreate, you’d be left with a hemp seed. Does anyone else agree? That is why they are compatible with sweet or savory foods. Not only are hemp seeds tasty, but they are so good for you! That’s why it’s often referred to as a “super plant.” I will fill you all in on the benefits of hemp seeds throughout the post. I know some lingering questions are waiting to be answered. 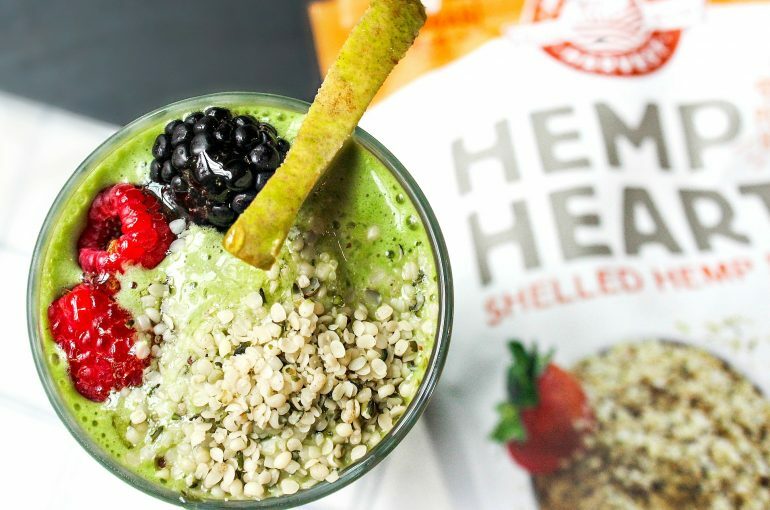 Hemp seeds pack a huge protein punch and contain healthy fats. I’m a fan of flax seeds and chia seeds, but hemp seeds contain twice as much protein and fewer carbs! They also don’t get stuck in your teeth like chia or flax. 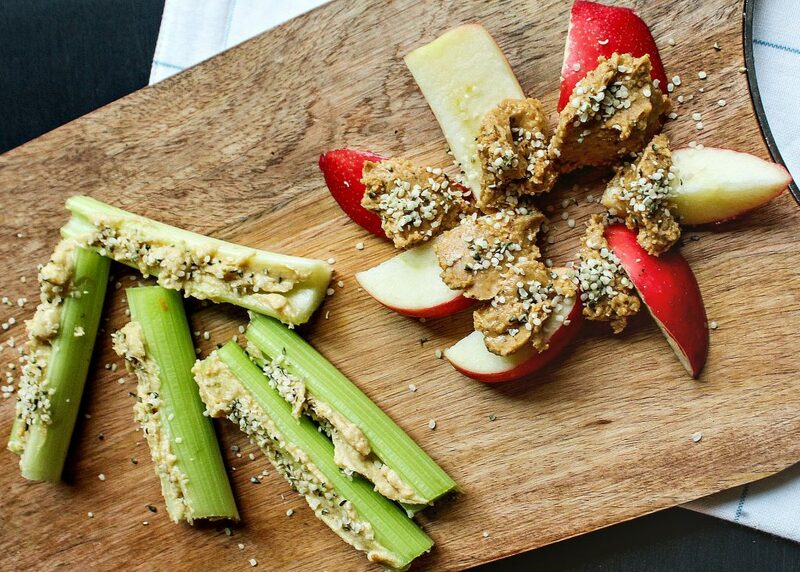 😉 Because hemp seeds are versatile, you can sprinkle them on savory hummus celery sticks, or sweet peanut butter apple slices. 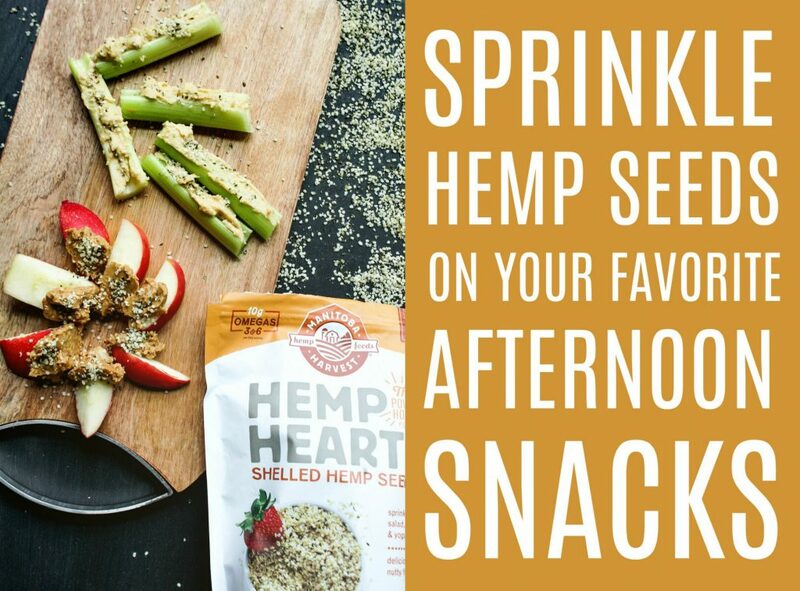 Hemp seeds are super healthy and safe for kids, so go ahead and add them to their snacks! *FUN FACT* My vet recommended that I start mixing uncooked hemp seeds into my dog’s food every morning. The hemp seed’s benefits help their coats and joint pain! Before you start giving your dog hemp seeds, talk to your vet about the proper dosage for their breed and size. A couple of years ago, I was introduced to hemp seed lattes and hemp seed smoothies while dining out at one of my favorite vegan restaurants in Charlotte. The hemp seeds gave the drinks a buttery smooth texture, so I’ve been adding hemp seeds to my smoothies for a while now. I throw a couple of tablespoons into the blender and then top the smoothie with more. You can even blend your coffee and hemp seeds in a blender to give it a buttery texture. If you want to get real fancy, you can make your own hemp milk for your smoothies or lattes. Intrigued? Making hemp seed milk is incredibly easy. All you do is blend water and hemp seeds in the blender on high for about two minutes. Then strain all of the seeds from the water, and refrigerate! That simple. Hemp milk is so smooth and creamy. 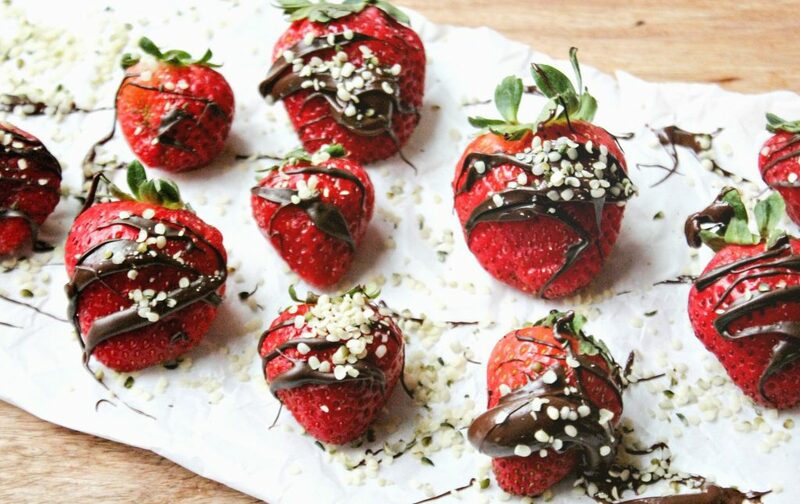 Since you’re already grabbing nutrients through your antioxidant-rich dark chocolate and vitamin-filled fresh strawberries, you might as well add some extra protein and healthy fats by topping your dessert with hemp seeds! If you like chocolate covered nuts, you’re in for a treat. I’m making chocolate bark this weekend filled with dark chocolate and hemp seeds for my dad. The hemp seeds are pretty on top! 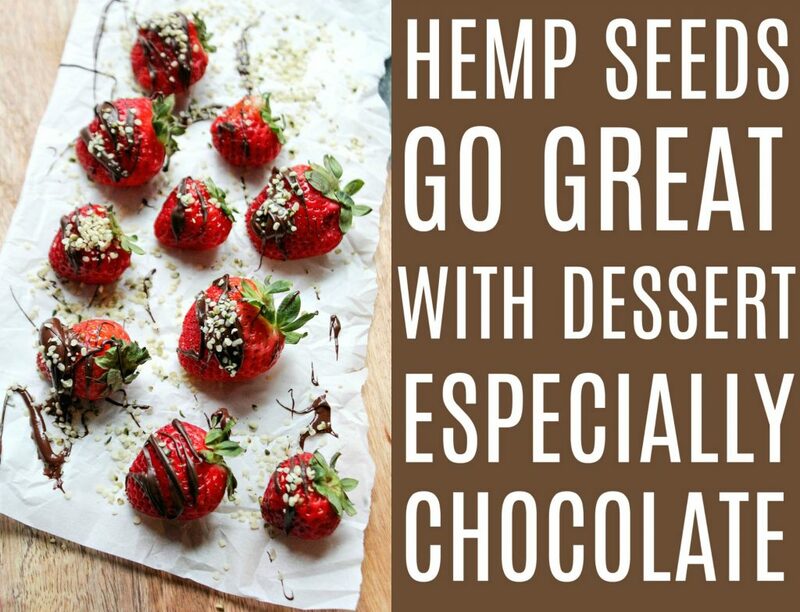 Next time you reach for the dessert, reach for the hemp seeds too! Top your pudding, cake, or ice cream with hemp seeds. It’s important to feel good about what we are consuming, and it’s also important to be aware of how our foods are grown. 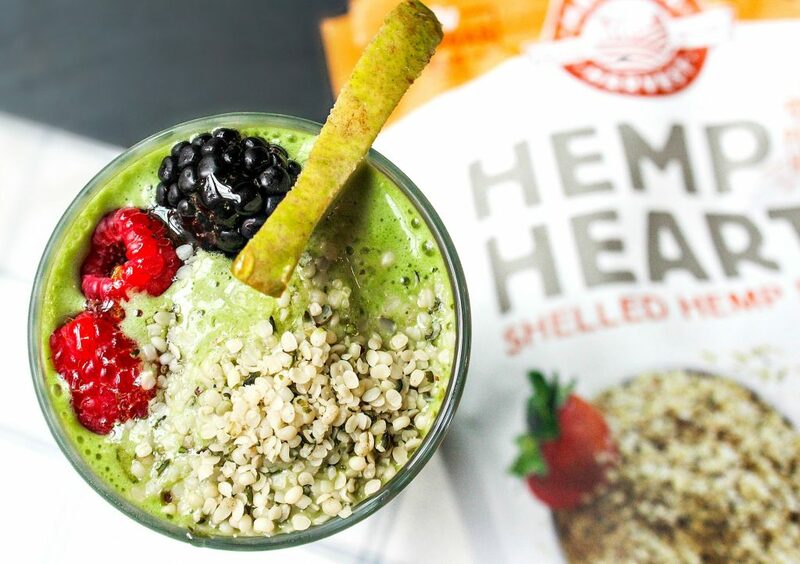 The Hemp Hearts offer a sustainable farming solution, and Organic Hemp Hearts are offered as well. I love making salads because they are also versatile. I also design them to match my cravings. 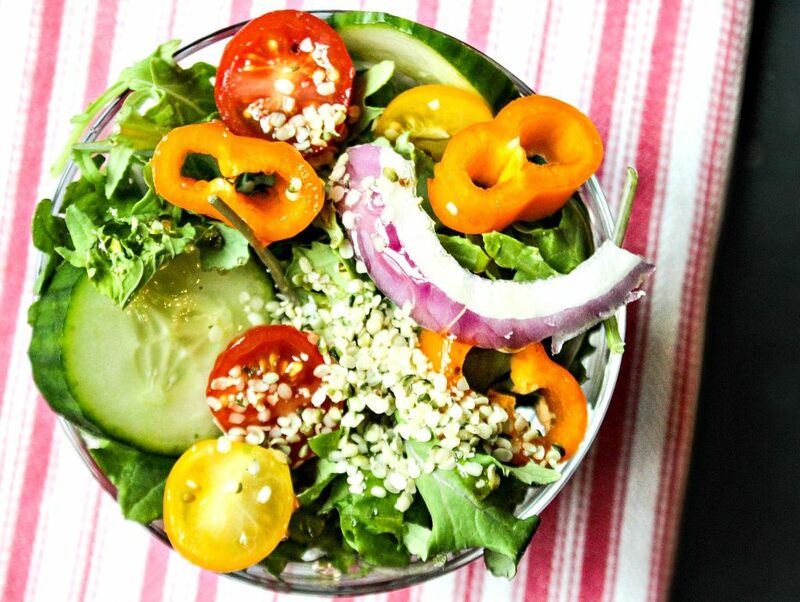 Whether you have a sweet or savory one, top your salad with hemp seeds! 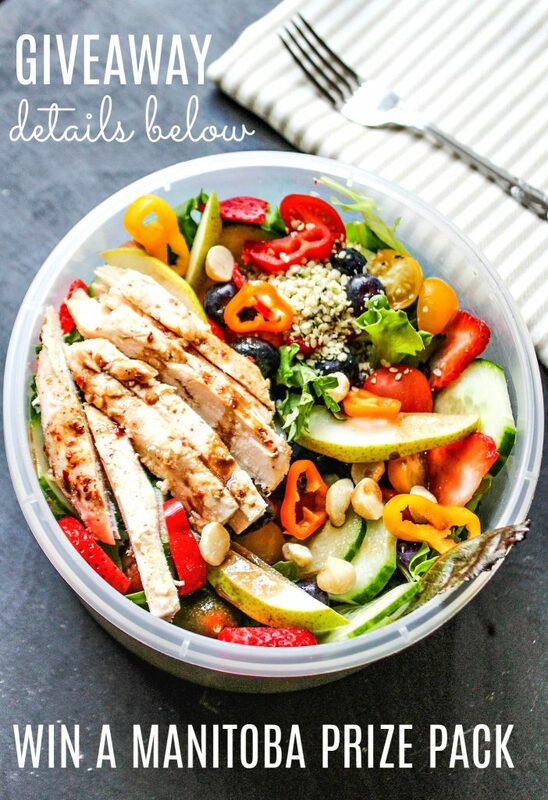 This is a convenient way to get your protein in, especially if you have to pack a lunch and do not want to keep meat on your salad for a long period without refrigeration. Hemp seeds, the super plant food, is used for more than just food. There are thousands of uses for them. You may see them in natural cleaning products, lotions, candles, and body care products. I want to explore making my own lotions or candles with hemp seeds this winter. 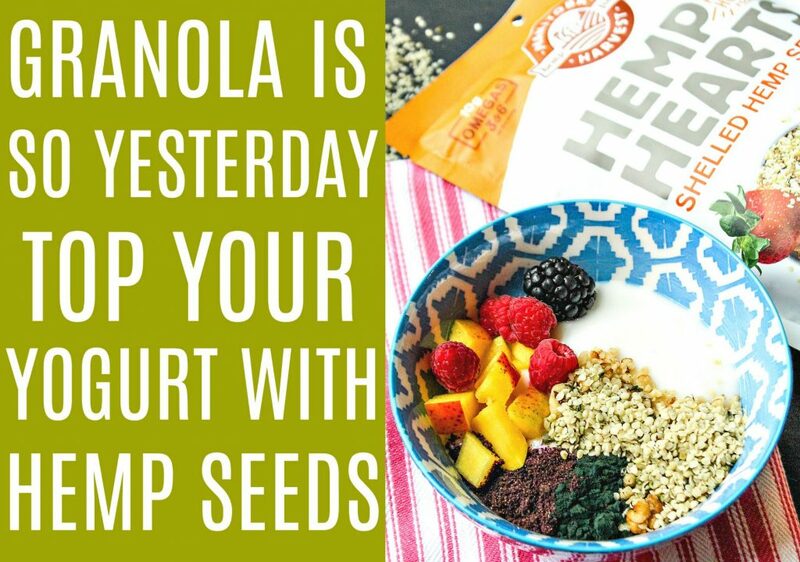 Adding hemp seeds to your breakfast foods is a great way to start the day. 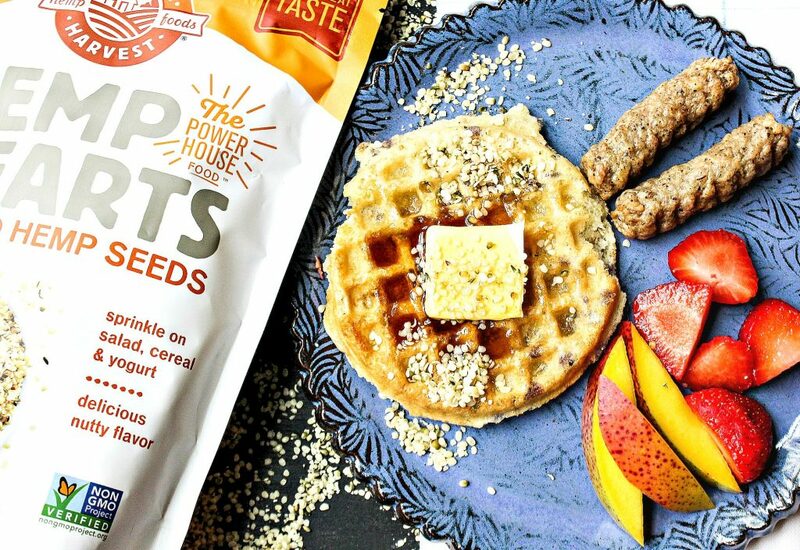 Sprinkle the seeds over your waffles, pancakes, bake them into your muffins, or sneak them into your kid’s cereal. 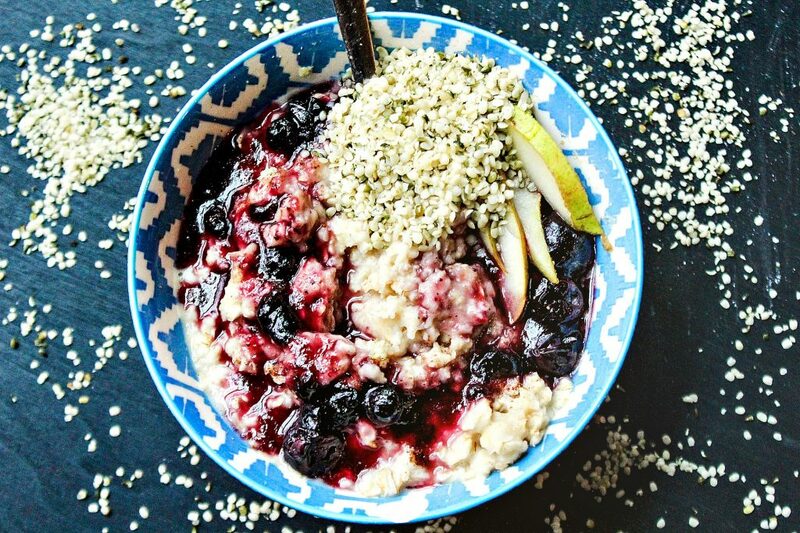 Hemp seeds are like little ninjas when it comes to oatmeal. You won’t even know they are there when you mix them in. You’ll definitely get a buttery texture in your oatmeal, but they fit right in. I like to eat eggs with oatmeal to get my protein and omegas! 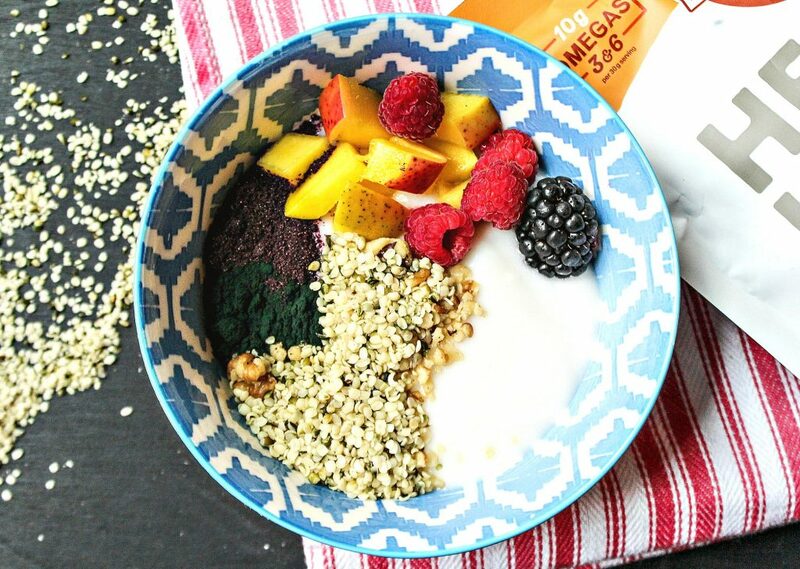 If you’re vegan, adding hemp seeds to your oatmeal is a great way to get those omegas and protein without egg consumption. Hemp seeds are king of the omegas because they have all 10 essential amino acids. That means omega-3 (helps with lowering blood pressure & good for heart health), omega-6 (pro-inflammatory and anti-inflammatory), stearidonic acid (metabolism health), and omega-6 Gamma Linolenic acid! If you want a boost in the cholesterol, inflammation, skin, hair, hormone, or heart health department, GLC should be your go-to! Not only are hemp seeds the king of the omegas, but they also contain many essential nutrients! As an anemic, I love that I can consume natural iron through hemp seeds. They also contain magnesium, which is a very important for the body. I’ve been reading about the benefits of magnesium for the past year, and I’m blown away by the role it plays in our bodies. I love love love that hemp seeds contain magnesium. They also carry fibre, zinc, and phosphorous! 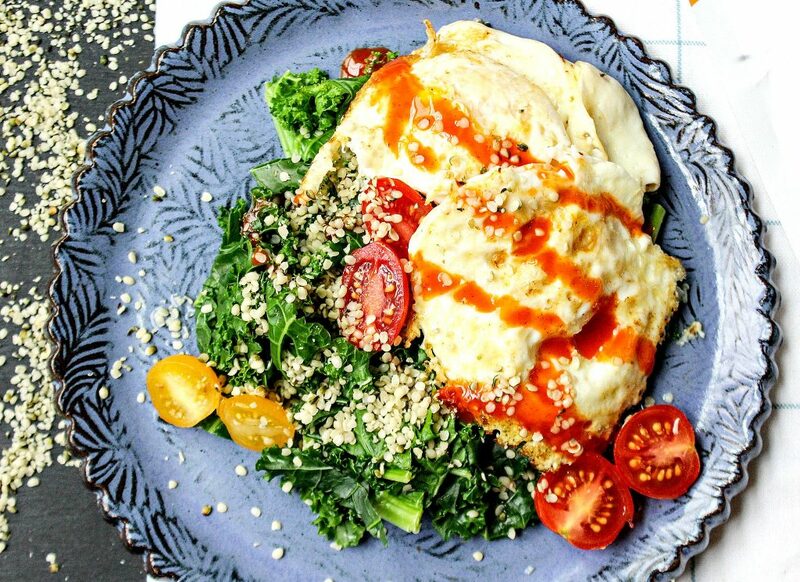 So for my iron and protein-rich breakfasts, I add hemp seeds to my steamed kale and eggs! This is a great go-to meal if you like to eat low carb. Remember! Hemp seeds have way fewer carbs than flax seeds or chia seeds. I used to top my yogurt with granola, or cereal. Lately, I’ve been substituting the sugary toppings with hemp seeds instead. It packs so much more health benefits and contains less sugar than cereal or granola. I like to get my sugar from fruit! 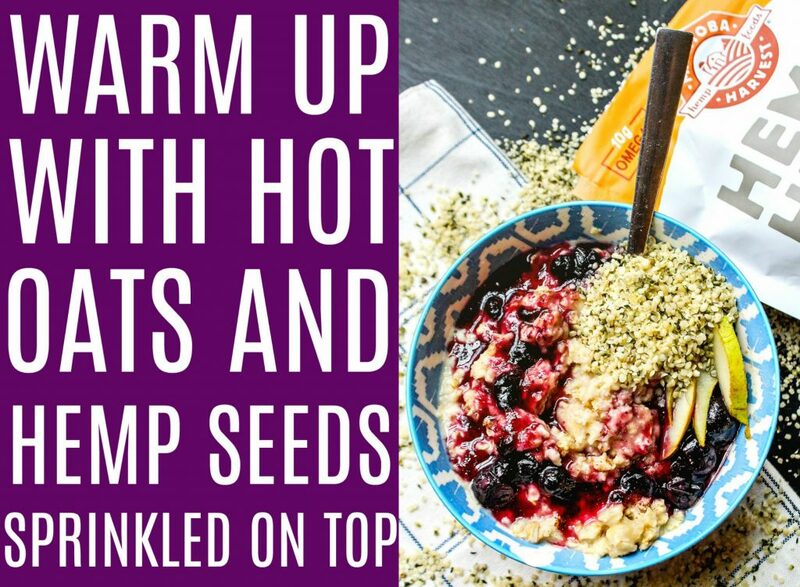 You can even toast the hemp seeds for a toasty and crunchy texture. Lastly, but not least. Tomatoes and hemp seeds should be best friends since they pair so perfectly together. They can be tossed into your pizza sauce, tacos, in your tomato soup, or other pasta dishes. You can mix them into pasta salads, and it’ll add a fun texture and healthy kick to it! Add hemp seeds to your chili, vegetable lentil soups, or your side of cornbread! 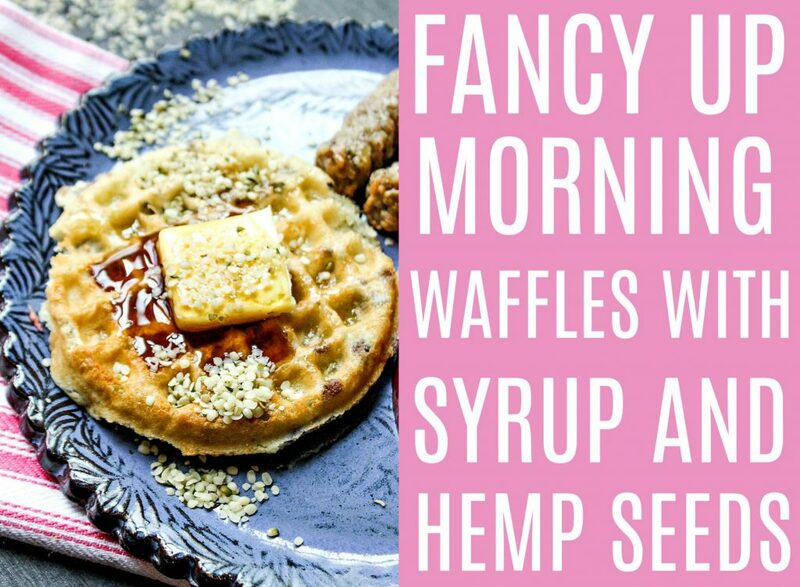 Don’t forget that you can bake hemp seeds into pretty much anything! The possibilities are endless. I hope you enjoyed learning more about hemp seeds (if you didn’t already use/love them.) Head over to Manitoba Harvest recipe page for more inspiration! 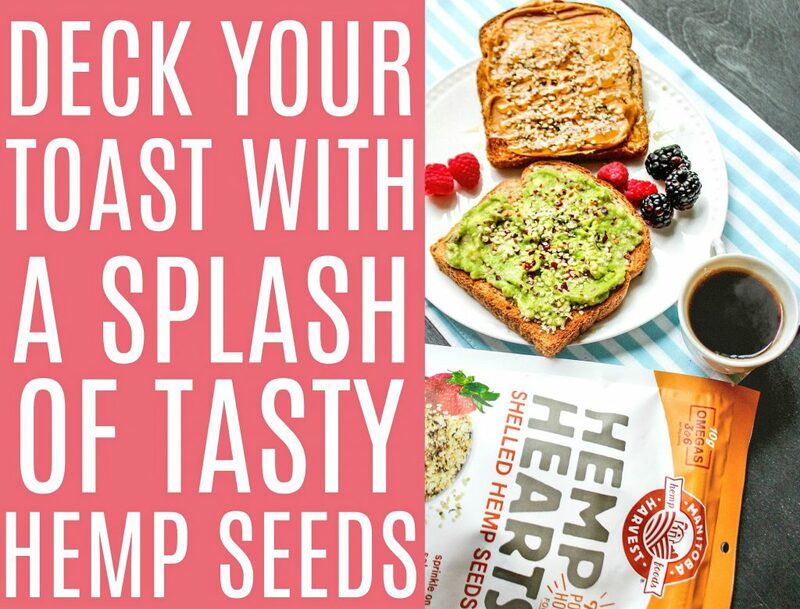 Leave a comment on this blog post below with your favorite way to use hemp seeds! I will choose a winner that will receive a Manitoba Harvest prize pack! 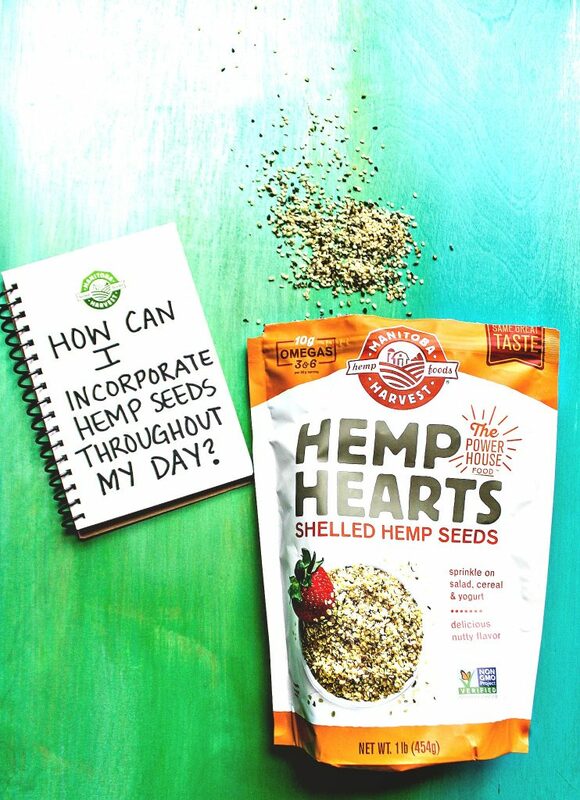 How do you use your hemp seeds? I never knew you could give them to dogs! I’ll def have to ask the vet about it next time! I never knew you could give hemp seeds to dogs! I’ll have to ask my vet about that! I’ll take the N’Oatmeal chocolate bacon bars please!! WOW! I bought a bag of these and never knew quite what to do with them. Those recipes are so helpful! Thanks! I have never tried hemp seeds, but after reading this post I will be looking for them at the grocery store! I cant wait to add them to peanut butter toast. Perfect on Peanut Butter Toast! I have never tried hemp seeds before but this post definitely has me inspired, thank you! I’m vegan and I sprinkle hemp seeds on my tofu scrambles 😋I also eat them by the spoonful haha! They are an amazing way to get in that plant protein! Hemp seeds are the best! I put them in oatmeal, smoothies, yogurt, coffee…the list goes on. A little definitely goes a long way for your health! I enjoy sprinkling hemp seeps into my morning oatmeal. Yum! Perfect way to eat them. I’m so inspired by all these great comments! 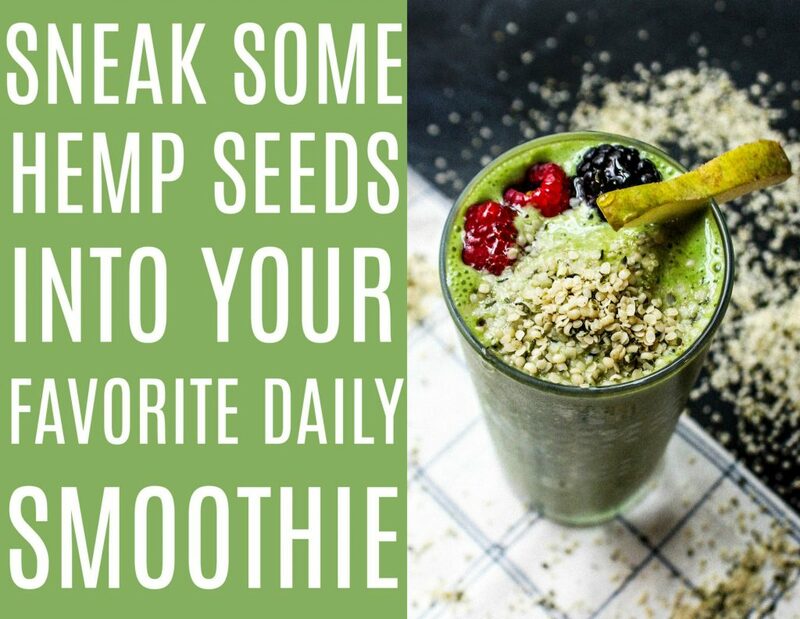 I have only ever put hemp seeds in my smoothies and salads, but I’m definitely going to try out some of these suggestions! I usually put them in smoothies or over yogurt, but I will have to branch out with all these ideas you gave! I sprinkle them on salads or soup. Sometimes I add them to a smoothie too. Perfect way to eat them! I usually just add it to smoothies. I love the nuttiness. I also like making a hemp parm with other nuts and nutritional yeast to add to pastas and it makes for a good crust for breading. When I have a lot, I like to make hemp ranch. It is surprisingly really delicious and like the real thing. I just wish hemp hearts weren’t so pricey! It’s so versatile and loaded with nutrients. I would add it to everything if I could. Love, love, love them to make a hemp milk for my matcha lattes. Yah! & I’m sure he doesn’t even know! I love adding them to my smoothie bowls or in my oatmeal! Yum! Perfect way to eat them! 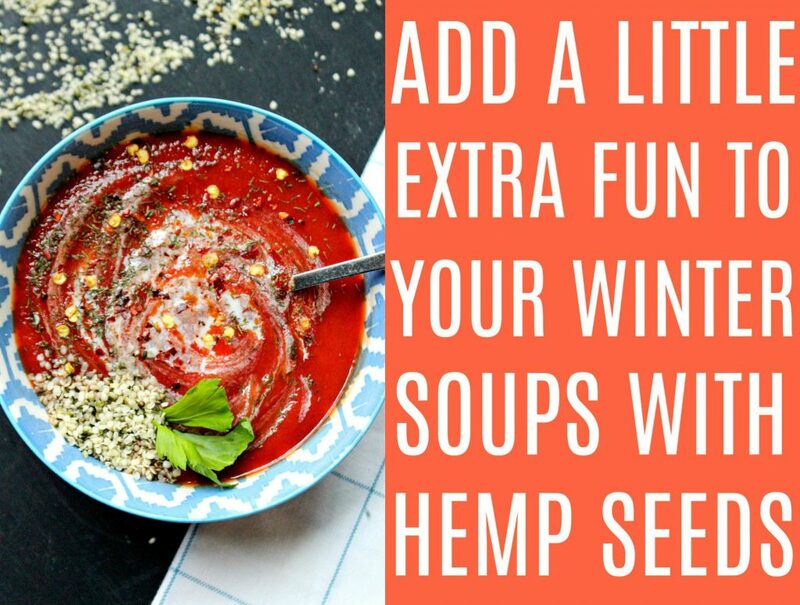 Oh man, I’ve NEVER thought to mix hemp seeds into soups. That sounds so good. I’ve only just discovered hemp seeds, and have only used them in oats and smoothies. So good. They are great in soup!! I would use hemp seeds in my oatmeal, eggs and salad! I have never tried but this post makes me want to try.. like now! 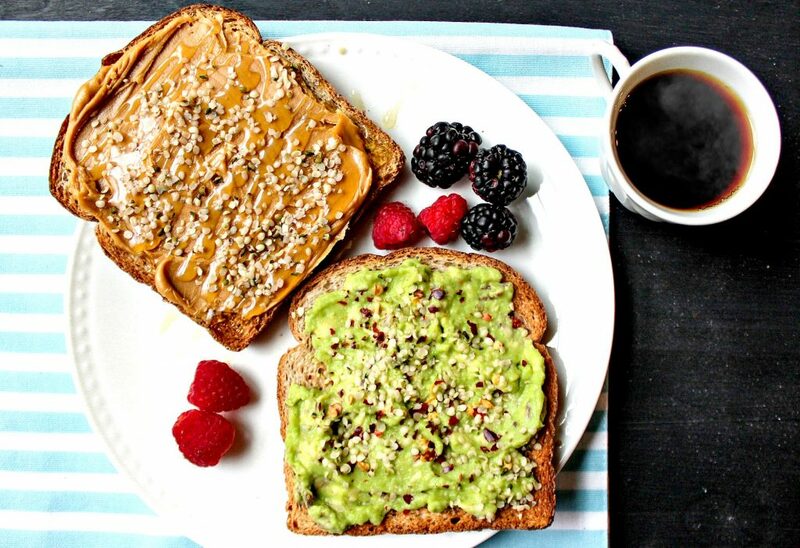 I can’t wait to try this on avocado toast — my favorite breakfast! Well I’ve been seeing your post about them and have been meaning to research them more in depth but I’ve just been so busy. I’m so glad you took the time to dedicate an entire blog post to them, I learned a lot. I’m super excited to try them now and I think putting them in my smoothies and on my eggs egg-cites me the most! Thanks!! I’m glad you found this post useful and I hope you enjoy them! I love to use them as the coating “breading” for healthier chicken nuggets. My kiddo says it’s the best chicken ever! I haven’t tried them that I am aware of, but looking forward to picking up Hemp Seeds and trying out some of you ideas! I saw these at Costco and ALMOST got them… I have wanted to try them for a long time, so THANK YOU for this giveaway. I eat a a lot of oats so I would probably add them to that. Next time you’re there, try them!!! 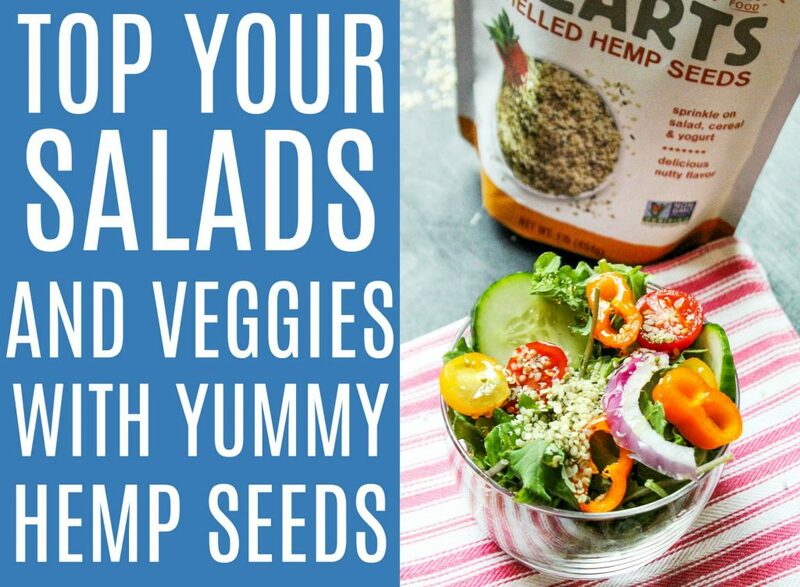 I love sprinkling hemp seeds on my salad or roasted root veggies! I’ve never thought about adding them to a smoothie before. I will have to try that soon! Yes! So good on roasted veggies!! 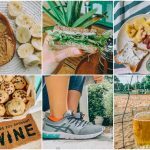 I am a Registered Dietitian and I just wanted to pop in and comment that while I love that you are promoting hemp seeds, some of your nutrition information is incorrect. Hemp seeds DO contain the essential amino acids (and there are 9, not 10) but the omegas are essential *fatty acids* not amino acids (fat, not protein). It can also be confusing that you described omega-6 fatty acids as being both “pro-inflammatory and anti-inflammatory”. In general, omega-3’s are seen as reducing inflammation and omega-6’s as promoting inflammation. Research shows that we need both, in good proportions to each other! Anyway, please please make sure to do your research before posting nutrition recommendations. I recommend the Today’s Dietitian site for excellent evidence-based information. So many great ideas! I haven’t used them a lot yet, mainly in oatmeal. I want to add them to my smoothies and acai bowls! Yum! I’ve never tried them on their own before, but I got the Trader Joe’s super seed blend with hemp seeds in it a while back and absolutely love it! I’ll have to give them a shot on their own soon, though 😀 Love all of these ideas! I’ve heard of hemp seeds before, but I didn’t really know much about them. So thank you for this post! It was really helpful and I can’t wait to try some them out with some of these ideas! I love that you’re working with Manitoba! I have been a fan of theirs for a while now! My vet also recommend that I give hemp seeds to my dogs! Serious question / curiosity: What reason would someone have for wanting to “boost” (increase?) their cholesterol? There are good cholesterol and bad cholesterol. It’s healthy to have a lower cholesterol level, but it is possible for people to have a dangerously low cholesterol level. It’s not as common though. Depression and anxiety can be big symptoms of low cholesterol, and if your cholesterol is low (you’ll know through blood tests) it can mean that there is a health problem occurring. 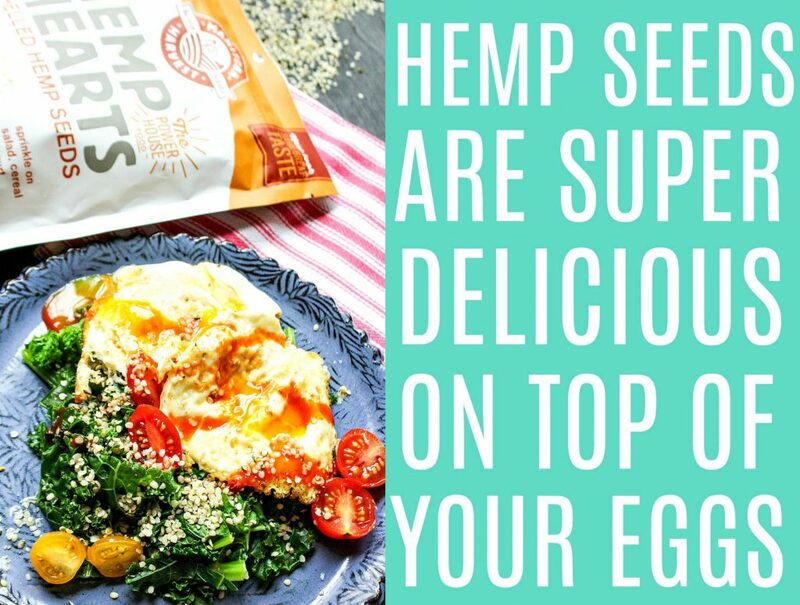 I have never used hemp seeds, but after reading this post I’m planning on getting some at the grocery store to try out! I bet they are so good in oats! I may sneak them into my children’s. Never heard of hemp seeds! Thank you for the informative post. Hemp seeds are so good on ice cream! I’ve added them to my Halo Top! Tastes like walnuts on top! I love mine when I make banana and egg “pancakes”. They add the extra omega and awesome crunch 😊! Plus love on salads as I always need texture of some kind in my salad or it doesn’t feel as fulfilling. I know, totally silly, but I need different textures to keep it interesting or I get bored. Will have to try in smoothies as haven’t but sounds sooo good! Ohhhhh great idea!!! Not silly at all. I feel the same way! I have never eaten hemp seeds before but I am thoroughly intrigued after reading your post. Really want to try them in my smoothies and over kale+eggs, as you suggest. So many awesome ways to ry. I love eating apples and peanut butter, so I would also like to try that way. I also like to use it replacing granola – hemp seeds, chia seeds, chopped almonds, shredded coconut. nom nom nom. Yum!! Great toppings on yogurt! My favorite way to use them is in no-bake energy balls. They add great texture and amp up the nutrition, which my husband loves! I add them whenever I have a bag on hand! YES! That is a great idea! Especially for an outer layer! I use a mixture of hemp, chia and flax seeds on a lot of different things. Yogurt, smoothies, salads, hot cereal. All great ways to eat them! I’ve not yet tried hemp seeds, but when I do it will probably be in a smoothie. LOVE hemp seeds! Ben likes them because of the protein punch. If we could afford it, we’d definitely be using hemp protein powder! We stocked up once on Mantioba once because they were giving it away at a pre-race expo haha, it was awesome! We throw the seeds into smoothies and into protein balls! I love the little crunchies when they’re in the protein balls. And I LOVE that they don’t get stuck in your teeth like chia (I don’t even know how many times I’ve walked into the bathroom and realized I had chia in my teeth… ALL MORNING). I’ve never used them, but am trying to find new ways to incorporate healthy foods into my diet! I’m excited to go out and try them! I really love making healthy versions of sweets (part of the reason I love your blog – it’s full of inspiration in that area!) but I love to make dark chocolate, vanilla almond butter no bake oatmeal cookies with hemp hearts and shredded unsweetened coconut flakes. They make the nutrition profile of the cookies (ever so slightly) better and they texture they add is just phenomenal! I like eating them straight up in a spoonful! Yes! They totally are 😀 The power of magnesium is incredible! Like any type of seed-like food (chia, flax, etc.) I LOVE throwing them into smoothies. Also, LOVING the pictures! 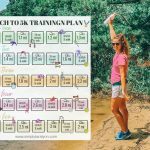 Your photos in this blog post are incredible! Did you take them? I like to string them together and make a necklace out of them!….well, maybe, truth be told I’ve never tried them. But I sure would like to! I DON’T recommend this but you can certainly just eat them by the spoonful right outta the bag. I have never used them before but I am definitely going to try them now! I have been a vegetarian, leaning towards vegan, for almost 6 years and this sounds like an exciting new find! I always love your ideas! Thanks, Tara! Hope you love them! I am also very intrigued about giving them to pets, I’ll follow-up with my vet on this. Thanks for reading! Definitely talk to your vet! I love to sprinkle hemp seeds on my salads. Also good on toast with hummus. i add them to my yogurt bowls, with honey & fruit. smoothies are a great idea, too! I love hemp seeds! I’ve used them in smoothies and even used them to make salad dressings. I’ll have to give them a try in soup! Adding them to smoothies! Yum! I’ve used chia seeds, but not hemp. I would add it to a smoothie! I prefer these over chia any day! I’ve been a fan of Chia and Flax for a while, but haven’t had the opportunity to try Hemp seeds yet! I’d love to win this giveaway, but if not, I’ll be looking to buy them as soon as I can!!! Thanks! Then you’d love hemp seeds!!! I LOVE hemp seeds. Since I am primarily a plant based eater I love incorporating hemp seeds in my diet for healthy protein and fats. I really like using them in my granola as well as a topping for my smoothie bowls! Every week I also make hemp protein balls to have as snacks. It’s really fun mixing up flavors and trying new combos! Perfect for a plant-based diet! I add them to granola before baking! You would never even know they are in there. I love to top my morning smoothie bowls with this. SO healthy and nutritious… tastes great too! I’m definitely more of a savoury girl! I like to sprinkle them on pasta mixed with parmesean cheese (or if you’re vegan with nutritional yeast) and I also put them right in the salad dressing recipes I make or just sprinkled on top. They are also good on veggies like braised Kale (Kale sauteed in butter with some lemon juice until wilted) or roasted asparagus! 😀 I love the idea you gave of roasting them first before adding them to dishes! Brilliant! Adding them to parm is a great idea!!! I just ordered these off of Amazon! I use them on a lot of the dishes you mentioned (especially on avocado toast and in smoothies!) but another favorite is roasted carrots topped with tahini, salt, pepper, smoked paprika, and hemp seeds. So yum! I haven’t tried them before, but adding them to yogurt and smoothies, and salads sounds delicious!! I can’t wait to try them! I’ve never tried hemp seeds but I would love to! I love them on an English muffin with avocado and sprinkled on top. yum! reminds me! I haven’t had an English muffin in a long time! I need to get on that! Although I have never tried hemp seeds, I am sure that I would love them in my oatmeal. I would also like to sprinkle some on some of my children’s meals for that extra goodness. Adds a buttery texture to oats! I have never tried hemp seeds, but I am positive I would love them in my oatmeal. I would also sprinkle them into my children’s meals to add some additional health benefits to their bodies! Yes and they wouldn’t even know! I like mine in smoothies! I never would’ve thought to add them to savory dishes like tomato based sauces and eggs, but now I have to try both! After reading this, I definitely need to try hemp seeds! I like the idea of adding them to oatmeal/yogurt and also on avocado toast. The benefits sound amazing! Yes the benefits are great! I have been eyeing hemp seeds for awhile now but have yet to try them! I usually put some walnuts in my smoothies (I know, weird) but I love the nutty/buttery flavor they give! I would definitely try swapping them out for the hemp seeds though! Definitely try them! They almost taste like walnuts! Same texture! I’ve never tried them before, but I’d love to top yogurt with them! Granola can be too sugary so I’d like something less sweet. So so so good on yogurt! MMMM Great on top of pasta or cooked into meatballs! I would definitely add them to my salads because I’m all about texture, I’m never just a lettuce dressing kind of girl. I love mine in my yogurt in the morning or on top of gf peanut butter toast! so nummy!!! I have never tried them before, but I would definitely add them to fruit and yogurt. Thanks for the informative and beautiful post! Thanks for the kind words, Julie! Hope you enjoy! We use them on oats and in smoothies, and also top our desserts with them! They’re great on pumpkin pie, brownies, even ice cream! Perfect in oats! & ice cream! Hemp seeds in smoothies are the best! Never thought to add them to my soup! Thanks for the idea! 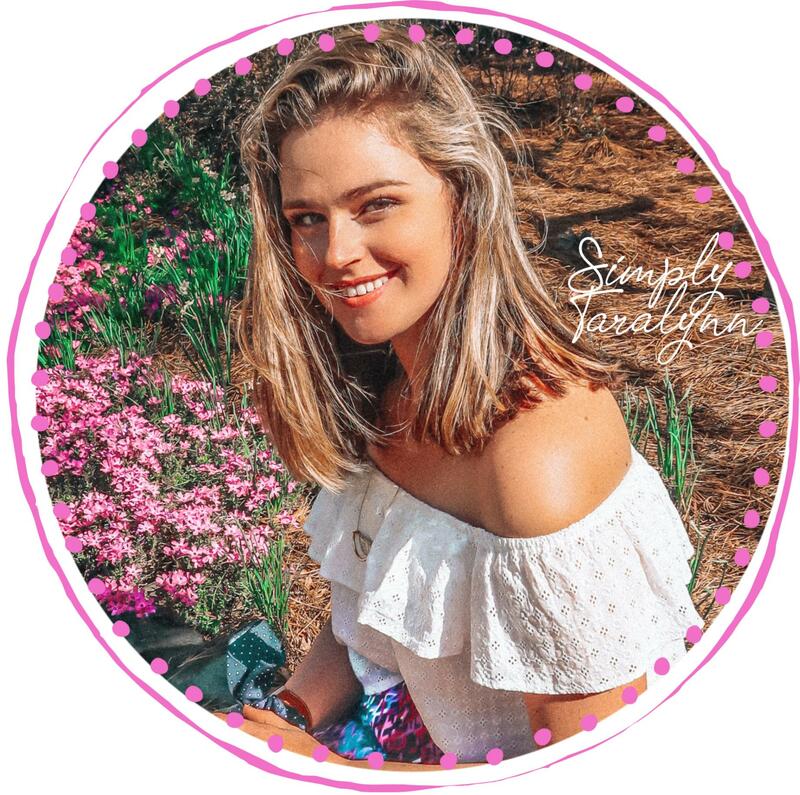 Love the blog, such a great way to start my day! I’ve only ever used them in smoothies but I can’t wait to try them some of the other ways you mentioned! Yes so many ways to use them! 🙂 They are amazing on avocado toast! I actually have never had hemp seeds. After reading your post, it seems like I can incorporate it into everything! I look forward to trying them. If you like nuts, you’ll like them! I’ve actually never had hemp seeds, but I want to try them! I would put them on avocado toast or a substitute to granola on my yogurt! Yes, a great granola substitute! Toast them with honey! Great way to incorporate them! I have never used hemp seeds before but I love that there are so many different ways you can use them! Of course, I am very intrigued to use them in coffee to make it more buttery – or even to make hemp milk! The health benefits they provide sound great too! It’s even better that they have less carbs than flax or chia seeds because that is what I normally use! CONGRATS ON WINNING! LOOK OUT FOR AN EMAIL! I love mine in oatmeal. Since I’m vegan and try to stay away from fakes (fake butter) hemp seeds really help boost my oatmeal’s flavor! Yes! So good in oatmeal, and it really does give it a buttery feel/taste! I think you’d love them! i sprinkle them on muffins when banking! I have never used hemp seeds ! I would love to win this giveaway and find ways to use them as well as try all the ones you have listed ! My daughter and I are so inspired by your blog .